Gutter guards prevent leaves, pine cones and other sizable items from clogging gutters, creating pools and breeding mosquitoes. They also offer an added layer of fire protection to your roof. Despite these benefits, some homeowners are hesitant to install rain gutter guards because they are unsure how to hang holiday lights without using traditional gutter clips. Whether you want to string up purple and orange lights to create a spook-tacular display for trick-or-treaters or your goal is to be the Clark Griswold of your neighborhood this Christmas, it's still possible to do so with gutter guards. One of the simplest options on the market, exterior adhesive products are designed to hold tight during use, yet remove easily without damaging gutters or leaving a sticky residue. Adhesive clips also make quick work of hanging lights around windows, door frames and other exterior features. For best results, be sure to clean the surface first. Depending on what type of roof your home has, you may be able to hang lights using shingle tabs. These products slide underneath the flat surface of the roofing. Bulbs are then screwed into the sockets with the clip positioned between them. These are some of the most secure products on the market, but are also more time consuming to use than others. 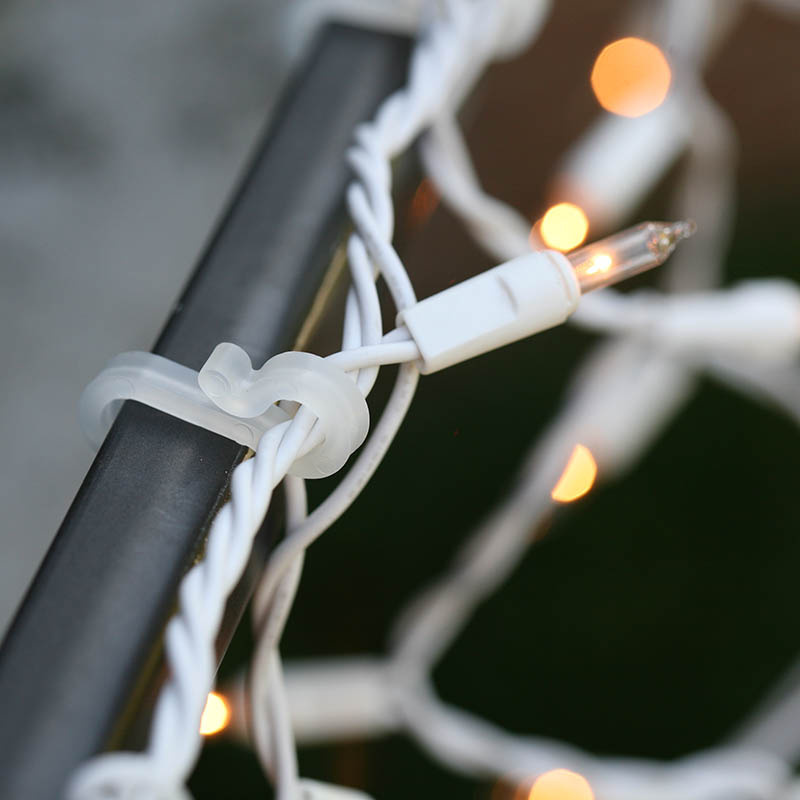 There are many other products you can use to hang holiday lights without damaging the rain gutter guards. Retailers are always adding new products to their inventory. If you already have a gutter guard in place, snap a picture and take it to your local home improvement store, where an associate may be able to recommend something even better.